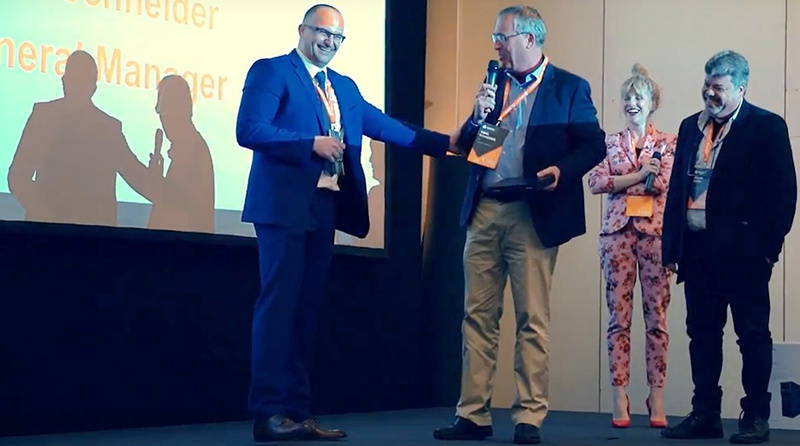 During the Vertiv (previously, Emerson Network Power) Innovation Summit at Zagreb, Croatia, Alexander Schneider IT, Vertiv’s representative in Israel, received the ‘Excellent Business Partner’ award, for being Vertiv’s #1 top performing partner in EMEA in 2017. Yigal Schneider and Shalom Avitan received the award from Igor Grdic, Vertiv’s SCEMEA Sales director who stated the company’s achievements with data center Power Infrastructure products, specifically in Thermal Management (air-conditioning) and AC & DC UPS Systems for IT and Telecom Infrastructure. “The partnership between Alexander Schneider and Vertiv is based on a strong long-term relationship”, stated Yigal Schneider, General Manager at Alexander Schneider, “Vertiv is THE global leader in infrastructure for critical sites. The Liebert and Chloride brands are the right choice when considering the top three challenges of the Critical datacenter or Telecom site; namely, Business Continuity, Energy Efficiency and Agility.